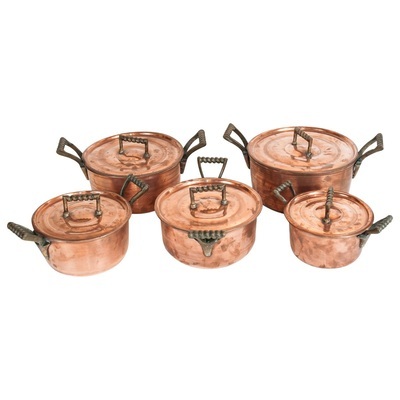 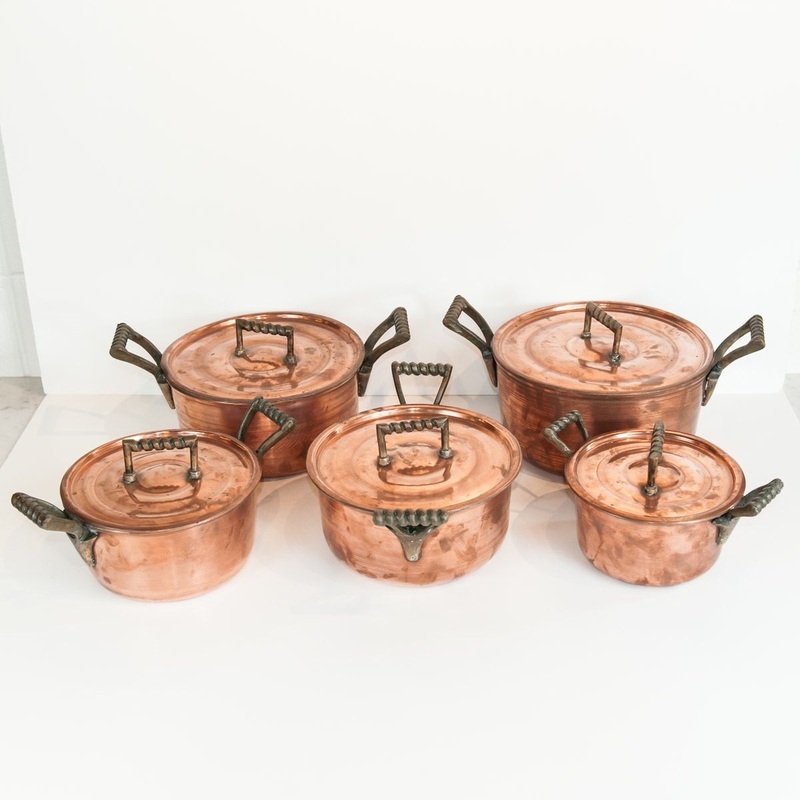 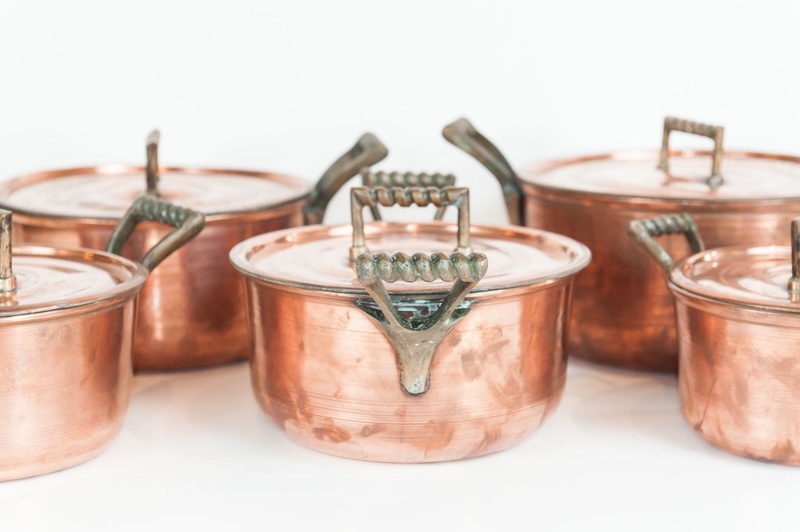 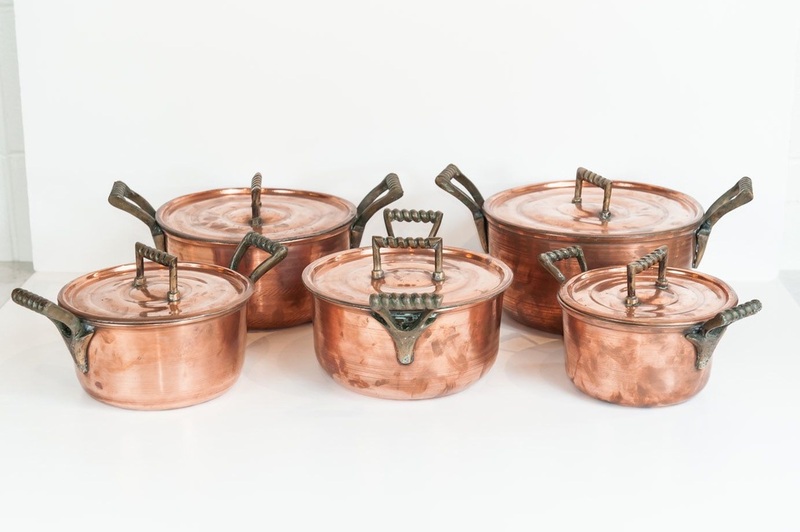 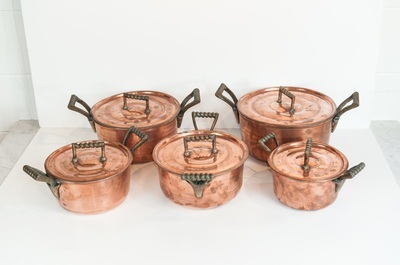 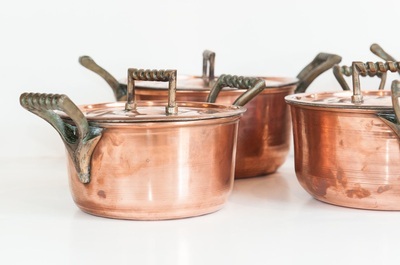 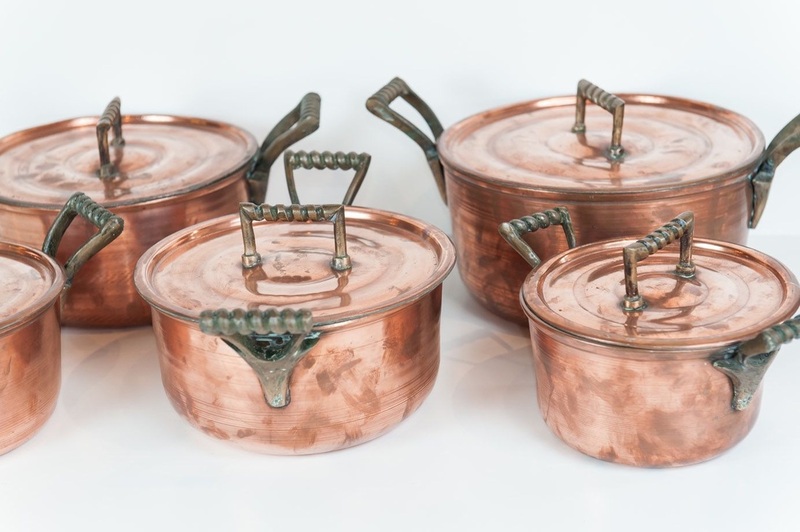 Set of five antique French copper pots with lids. 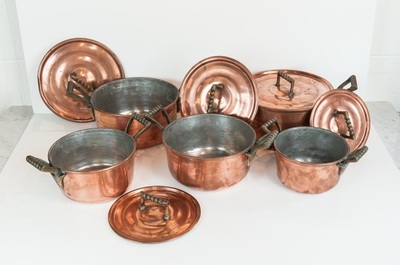 Circa early 1900's. Cast brass handles. These copper pots have a wonderful patina. 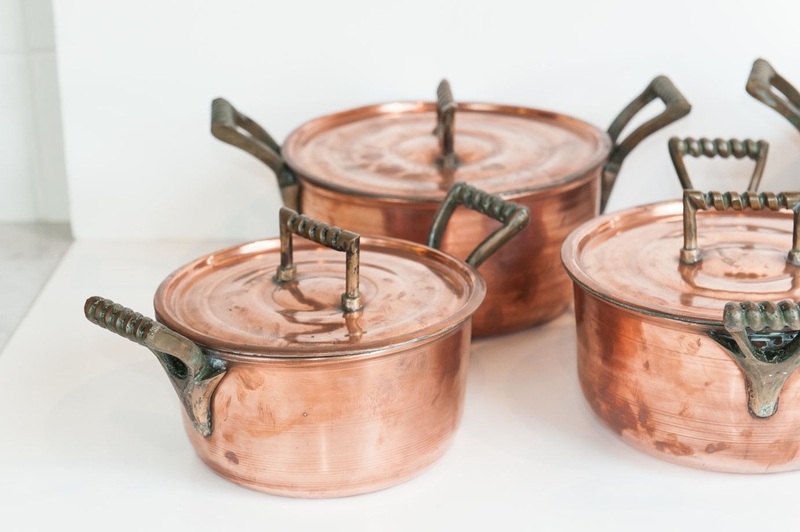 Normandy, France.